A native of Timpson, Texas, Burt grew up on land homesteaded by his family in 1859. He earned a Bachelor’s Degree in Agriculture from Stephen F. Austin State University. Having a background in rodeo allowed him to develop a career in western entertainment as a trick roper who has performed from Madison Square Garden to the South Lawn of the White House. Burt even spent time living and working in Paris, France performing in a re-creation of Buffalo Bill’s Wild West Show. 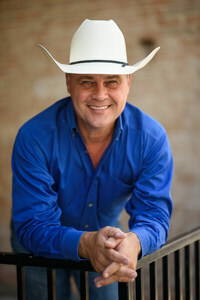 Opportunities with corporate entertainment in Texas transitioned Burt into the event marketing and advertising field which has proven to be a perfect fit as the Director of the George H. Henderson, Jr. Exposition Center. Burt, father of two, resides in Nacogdoches with his wife, Melissa and has served as Expo Director since 2011.